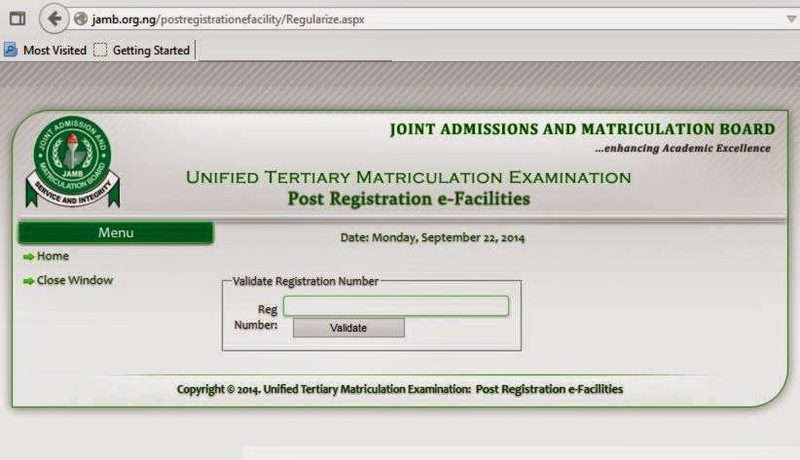 2.> Enter the jamb registration number given to you by your school and click on validate. 3.> Fill in your necessary data; upload your passport and capture your right and left finger thumb print and click on submit/saved. Q: Who is to Regularize. A: Candidate who gain admission without Jamb registration number or his/her mode of admission does not required jamb registration number. 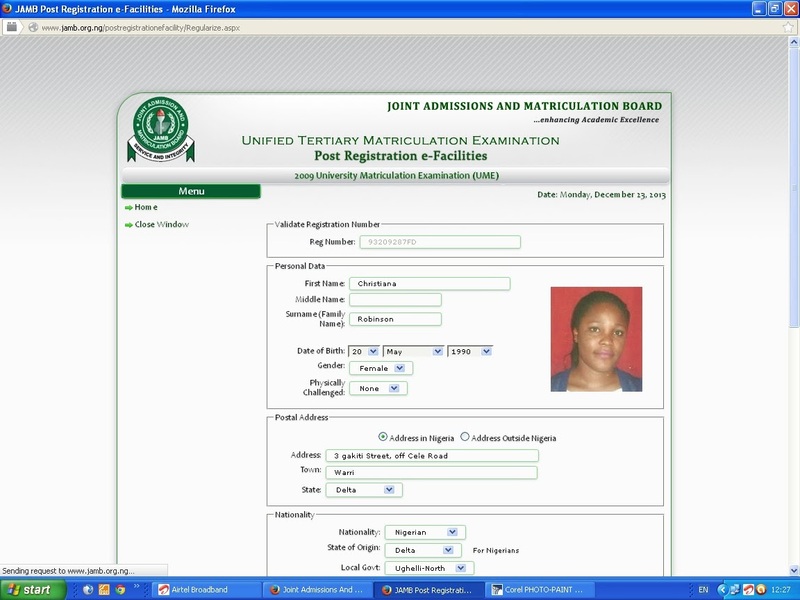 Q: I have jamb registration number already, can it be regularize. 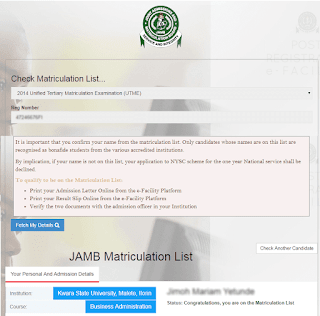 or any registration number you obtain through the normal online processing of JAMB/UTME/POLY of which later you sat for an exam, can not be regularize. A: jamb registration number given to you, from the school you graduated from. 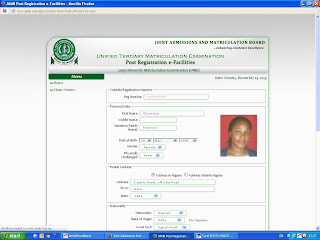 NOTE: Some Institution do charge their student between the range of N4600 - N6000 to process and obtained it from jamb. Your site is good and informative,but I'm still having difficulty in regularisation of my jamb registration number,im not a jambite,but our school generate the number for us,but the jamb site was displaying that the number could not be found please help me out! My school(Auchipoly) is asking for #5,500 for jamb regularisation number. I entered th school with jamb utme and graduated from civil Engineerin Techn. this Sept. Do I need to pay for any money since I already hav , jamb reg sinc 2010.